Black Panther name had become viral in the ears of the international community because the film that championed the black figure is booming. Action "Black Panther" which just enliven the cinema screen makes the black hero became a new idol. However, it turns out the name of Black Panther is not just a fictional hero Wakanda's hero. 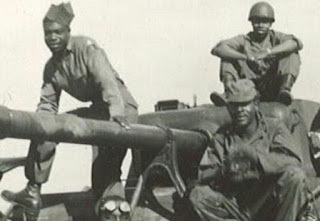 In World War II, Black Panther was a United States Army tank squadron whose members were all black soldiers. These tanks are known to be very brave and are regarded as the most effective tank troops while engaging in important battles in Europe.